Kristi Payten began her career as a registered nurse. Now, two decades later, she juggles Médecins Sans Frontières projects with her own consultancy back in NSW. I’ve always wanted to work with MSF. When I applied I had been working in the Northern Territory for nearly five years as a remote area nurse. I’d finished a Master of Public Health with a specific focus on development and humanitarian themes. From working in the Territory I had developed a good skill set and personal attributes to manage a variety of situations but I wanted to challenge myself further, meet new people, experience different cultures and I wanted to do it within an organisation that I respected and knew did ‘good’ work. "Registered nurses are by nature adaptive individuals – pragmatic, resourceful and usually very organised." How did you progress from registered nurse to Head of Mission with MSF? Registered nurses are by nature adaptive individuals – pragmatic, resourceful and usually very organised. 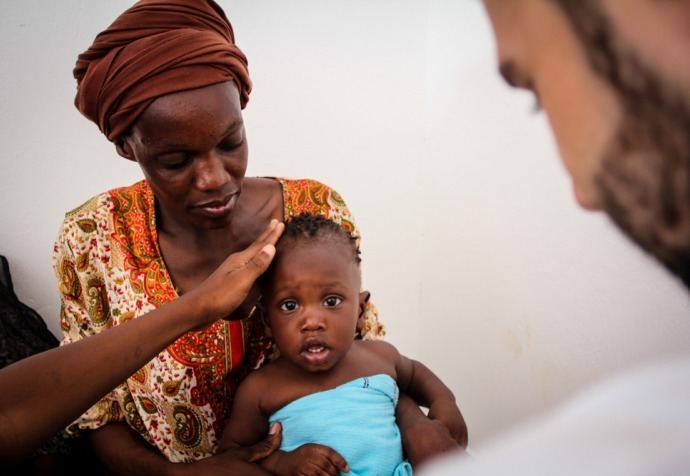 Within MSF projects, nurses are rarely completely clinical and normally work alongside large teams of local staff to provide structure to the programs, training, mentoring and support. So moving into management came naturally to me. I enjoy working with large diverse teams, planning and coordinating activities. I started as a Field Nurse, became a Nurse Supervisor, then a Field Coordinator, a Medical Coordinator and eventually a country representative, or Head of Mission. Did you set out with a view to establish a career in this field or was it a decision you took along the way? Initially, my work with MSF was an adventure that I expected to last a few years. However, when I look back I see that in fact that my experience and studies prior to leaving Australia set me up perfectly to continue with humanitarian field work longer term. I realised early on that reintegration into the mainstream workforce in Australia was difficult. Back in Australia, I struggled to find opportunities that made the most of my unique skill set and challenged me in the way MSF did. I recognised that I would need to evolve and have a contingency plan to maintain the balance between these two worlds and pave the way for any more permanent move back home. To facilitate this, I took on additional studies and completed a Master of Project Management. When I returned home in between assignments, I began to look for different types of work opportunities in health program management. What advice would you give to other registered nurses considering a similar career path? What qualities do you need and what tangible steps can they take? Be pragmatic, be realistic about what you want to achieve and set yourself up with the best experience and tools prior to joining MSF to get the most out of it. However, even if you don’t see the need for it initially, safeguard your future and prepare for a need to reintegrate at some point.